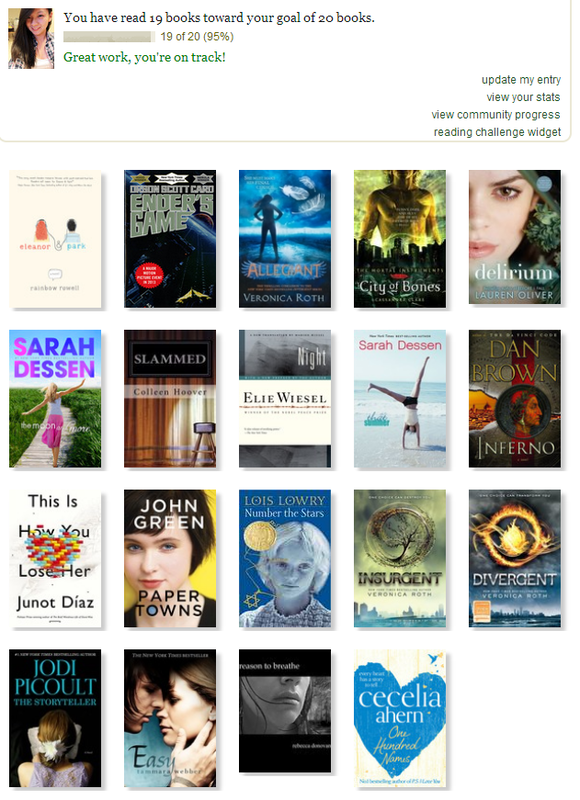 I set my target as 20 books at the start of this year. Surprisingly I read 19 already to date, probably unable to finish my 20th book which I just started reading a few days ago. But I still want to list out some that I really like! I read the Divergent trilogy since the start of the year. I didn't like Allegiant (the 3rd book). But I really look forward to the Divergent movie in 2014! It's a Dystopian novel, where people in a community are separated into four factions based on their characteristics. And the story follows. My obsession with Holocaust novels started with Jodi Picoult's The Storyteller. Must read! !Elie Wiesel's Night is also another book that I highly recommend. It's short, and was told by the author himself who have been through the holocaust. Lois Lowry's Number The Stars is also another good book! Not sure if you have read Lois Lowry's The Giver, another awesome book I read in primary school, and I realized now that I didn't understand it all back then will probably give it another go soon. Rainbow Rowell's Eleanor & Park. I finished this book days ago. It was so good, weirdly good. Like it pulls you into the story and makes you want to read more. Because of the way it is written I guess. I am more often attracted to books where the author will write from both person's point of view. She wrote very much like a teenager so it feels real, relatable when you are reading it. Give it a go if you want to read a not so typical love story. Orson Scott Card- Ender's Game. I read this after I watch the movie. I would say it is a well-written book, and the movie gives you something else. The book is more in-depth, and after reading it I'm confused with whether I like Ender or not. I love him in the movie, I pity him in the book. lol.